Bondgenotenlaan. Avenue of the Allies. Bondgenotenlaan. Avenue of the Allies. It’s the main road through town so I must’ve said and heard this name hundreds of times in the four months I lived in Leuven. And probably thousands of times more after I moved back for four more years from 2002-2006. But despite, or maybe because of, it’s daily presence in my life, the meaning of the name Bondgenotenlaan – Avenue of the Allies – remained hidden in a background I never thought to fully explore. I just assumed it had something to do with World War II. 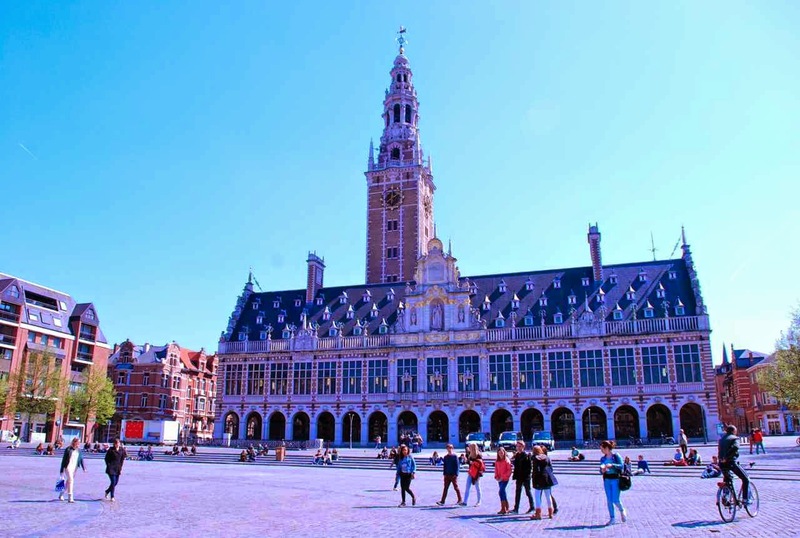 Leuven was occupied by the Germans at that time and the university library was turned into a Nazi war-room, which the Allies bombed and later rebuilt using donations from American universities. weren’t those of my grandfather’s generation. Rather, these were the men of 1914-18. So what happened in Leuven during the First World War that I so clearly failed to see during my five years there? On the first day of the occupation of Leuven “German soldiers behaved in exemplary fashion, bought postcards and souvenirs, paid for all their purchases, and stood in line with the regular customers for haircuts at the barbershop,” she writes. Then, on August 25, as German troops were marching west from Leuven they met the Belgian Army at Mechelen and were forced to return to Leuven. 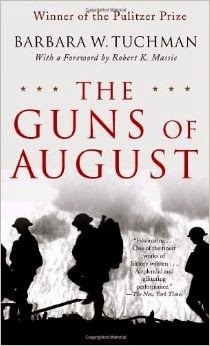 The Germans said the Belgians had started shooting. The Belgians claimed the Germans were shooting at one another in the dark. Either way, Leuven was about to go off like a box of matches. The burning of the city began later that day. 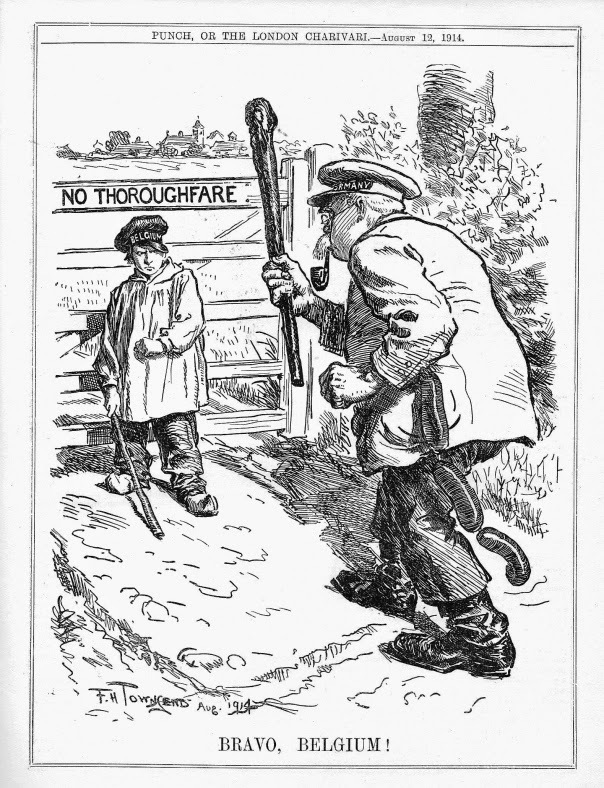 It was the German's way of punishing the Belgians for their disobedience and sending a warning to other would-be enemies that anything less that full cooperation would not be tolerated. When I read this, I was shocked. 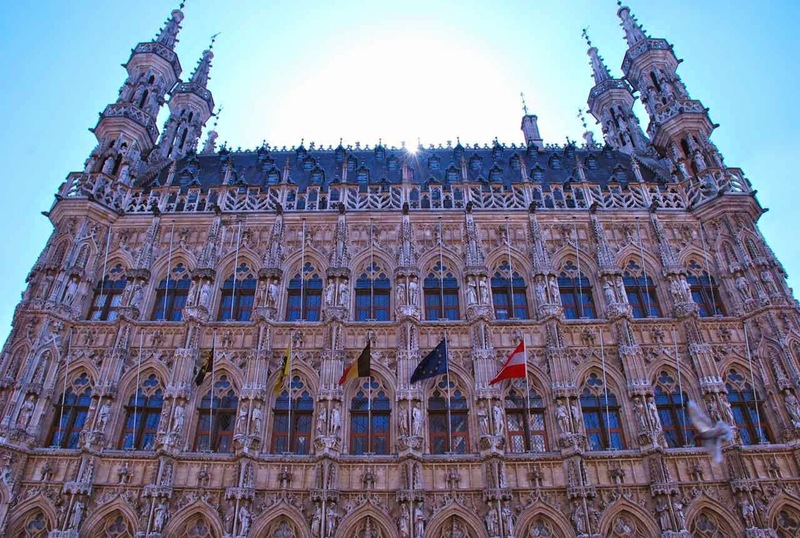 Not simply by the heinous and hateful crimes against humanity that took place in Leuven. But also by how little there is today to remind us of what happened. In other words, the Germans sought to strike at the very soul of a people. Not content to occupy another’s land, they set out to erase their culture. This is the only way to understand the decision to burn Leuven's famed library, which housed over 230,000 books, 750 medieval manuscripts, and a thousand incunabula (early printed books dating from the 15th century). It was a purely symbolic move in service of a warped strategy. 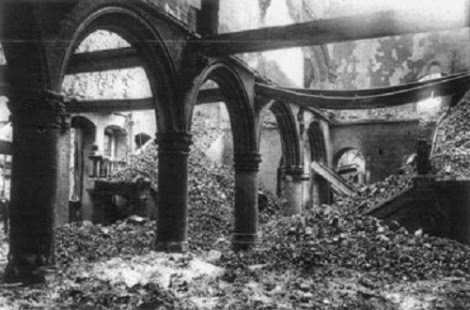 On August 30, the day after reports of the madness appeared in the foreign press, the campaign to destroy Leuven ceased. The beautifully ornate Gothic town hall was still standing, and so too was St. Peter’s Church. But the damage done to the rest of the city was irreversible. When I think back to the first time I walked out of the train station there, and that first of many walks down the Bondgenotenlaan – the Avenue of the Allies – I can remember ambling very slowly, in absolute awe of my surroundings. My eyes didn’t know where to look first. At the buildings nestled together in long rows of grand façades and bustling shop fronts? At packs of bikers peddling past me carrying on conversations in a language I longed to understand? At the people parked at sidewalk cafés taking it easy with a noontime beer? Before I knew anything else about Leuven, the spirit of the place had moved me. It lit a fire in my heart and I knew then that, whatever it was, I wanted to be a part of it.